Letting your little ones help out in the kitchen can be great for their development and creativity. These are some of our kid-friendly favorites that make use of healthy ingredients, are fun for your youngsters to assemble (and eat), and will keep the mess to a minimum. Sounds pretty good, right? 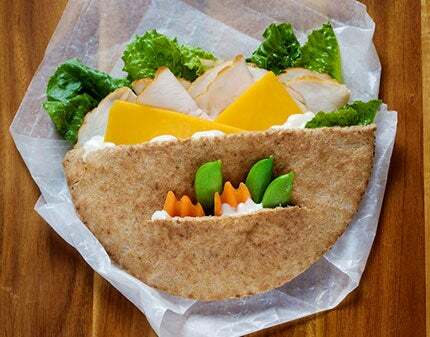 Turns out, a pita pocket was just one slice away from a becoming “kangaroo pouch.” Who knew?! 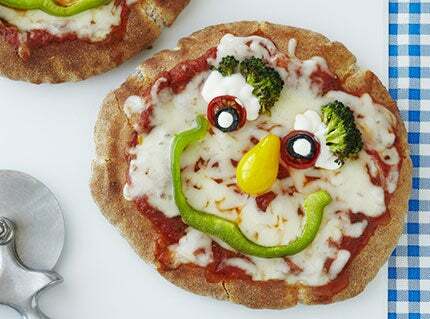 Fact: Kids love it when their food comes shaped like an animal. Just cut a zucchini in half, take a melon baller to it, and you have yourself some caterpillar humps. 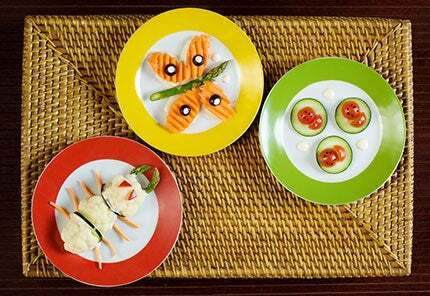 Something as simple as using a colorful combination of veggies can be a great way to encourage healthy eating. This is the right way to play with your food. Whole-wheat pitas make perfect single-serving pizza crusts. Slice up some veggies and let the kids go to town! We all grew up knowing the peanut butter/raisin version. This take uses our dips mix, cream cheese, and a tasty combination of dried cranberries and walnuts. So good, you’ll probably want to snack on some yourself. Chop up some veggies and let your kid’s imagination do the rest.